Evie's Cloest is giving away 4 sets of fantastic outfit for your fantasy needs. The first is the Fairy Autumn Edition which is not only cute, but in good details. The Elora II fantasy gown is a nice dress to add to my dres which I can wear to fantasy balls. The Fable Pack features a beautiful dress in high details which is sure to drop some jaws when I enter the ball room. And the last is the Nereida Mermaid outfit which is so beautiful that you can see the scales on it. 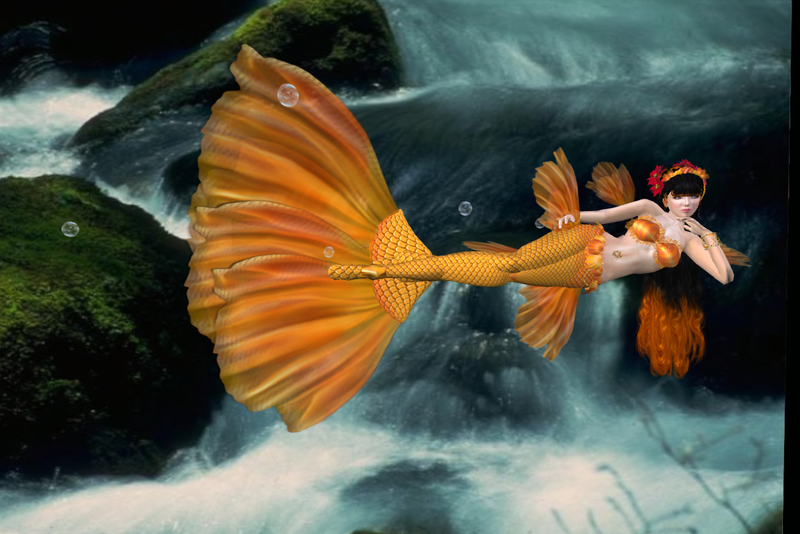 And this reminds me of a pretty goldfish, but unfortunately I do not think many sims welcome mermaids.